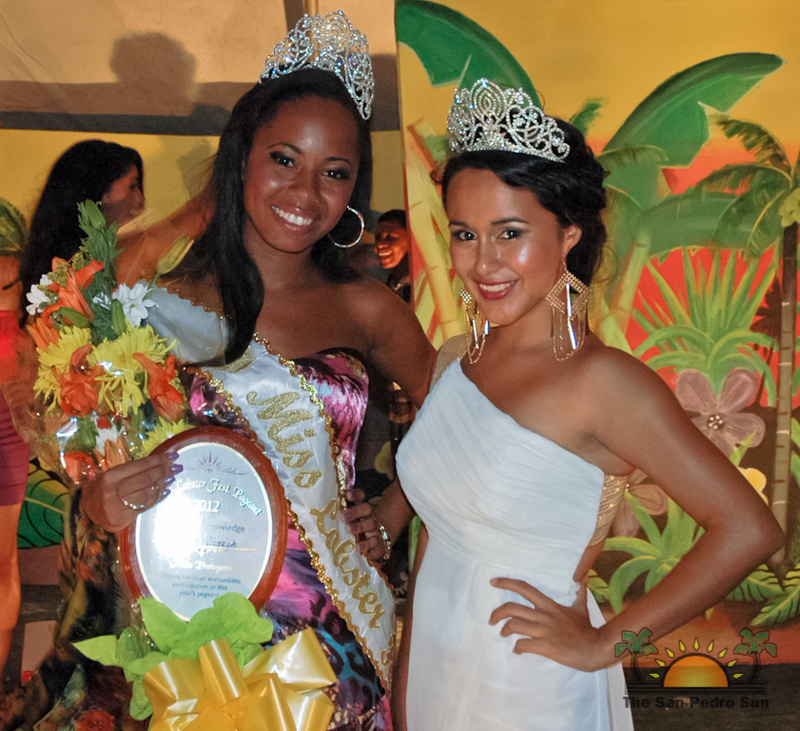 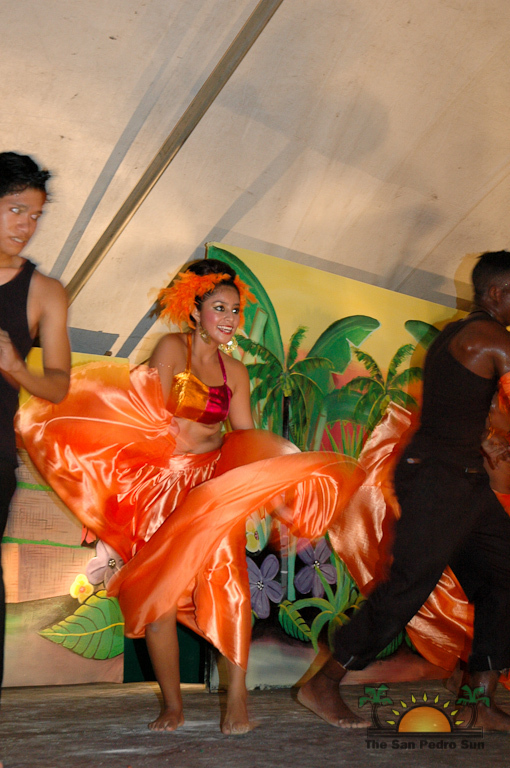 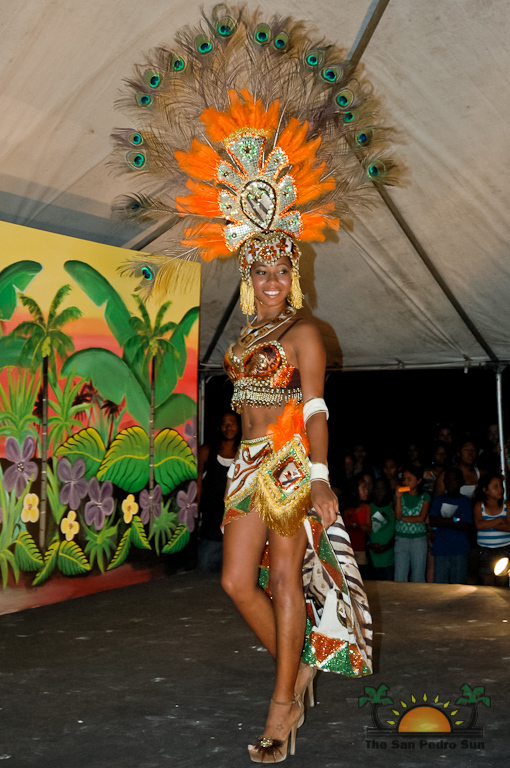 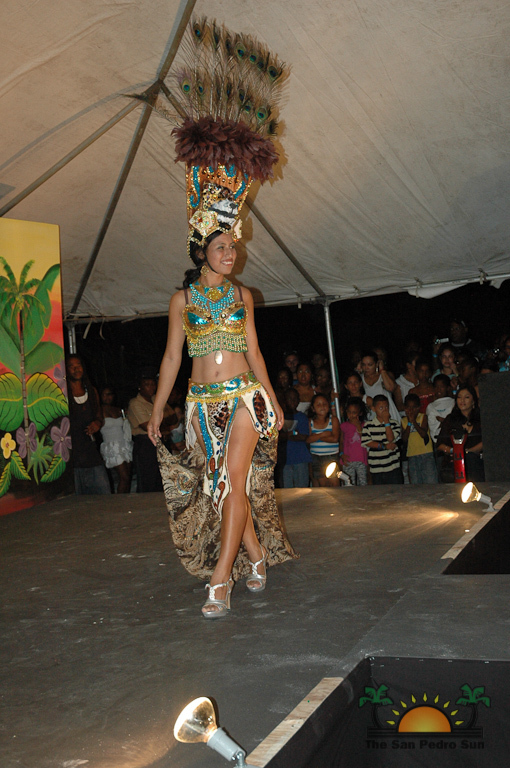 On Friday, June 30th, the 2012 Caye Caulker Lobster Fest activities started off with the 2012 Miss Lobster Fest Pageant. 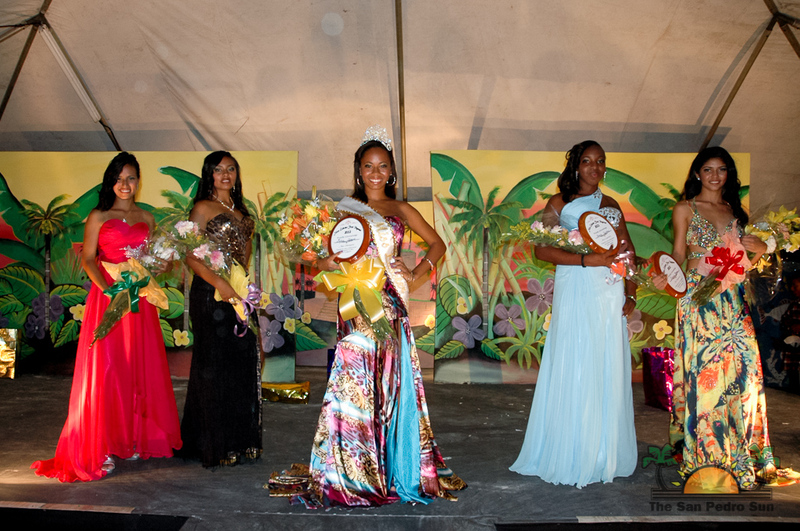 After all the planning and preparations were put in place for this much anticipated event, five stunning young ladies took to the stage and wowed the crowd as they vied for the coveted title. 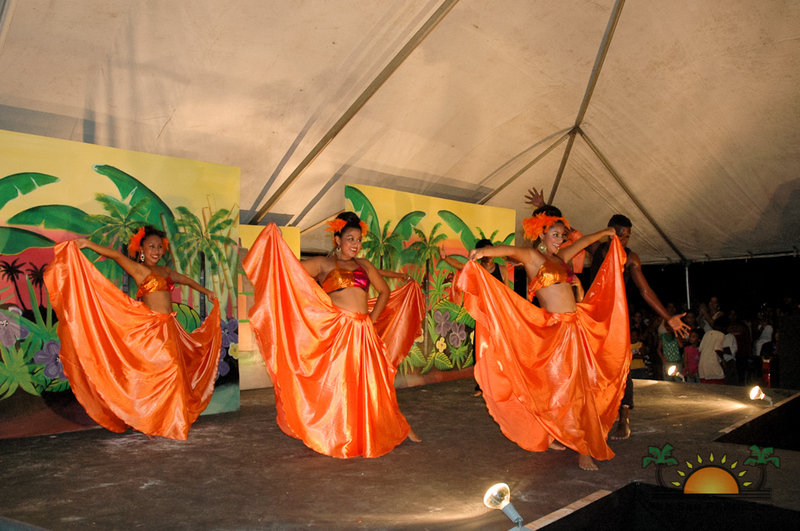 They were Miss Jasmine Skeen, Miss Shania Sanchez, Miss Jasmine Arce, Miss Vicky Canul and Miss Sylvia Joseph who all took turns dazzling the audience in a dance presentation, talent competition, traditional costume and of course evening wear/Q&A segment. 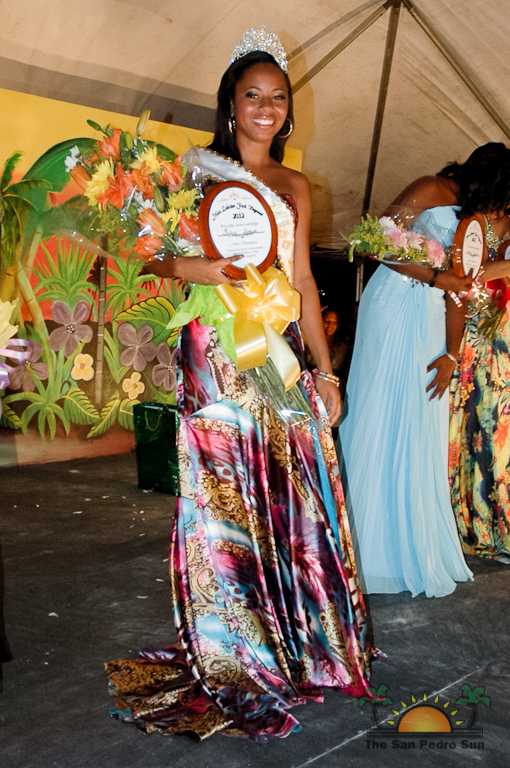 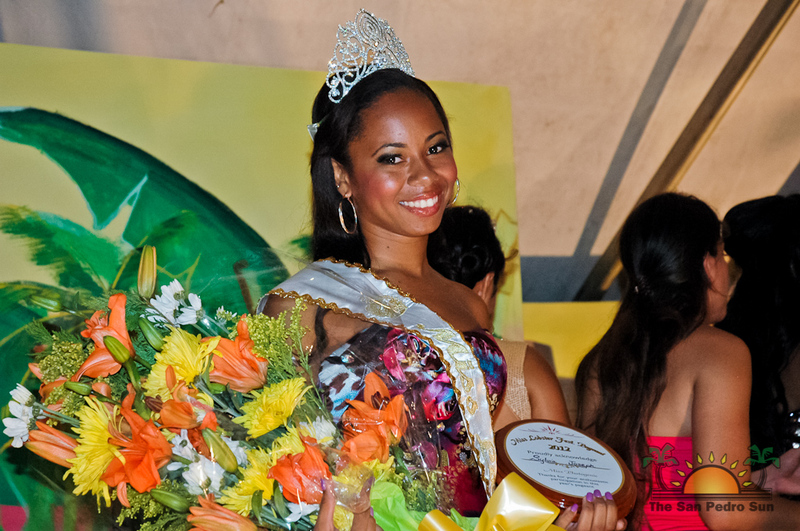 In the end the decision of the judges was met with joy and adulation as the undeniable crowd favorite, Miss Sylvia Joseph, was awarded the title of Miss Caye Caulker Lobster Fest 2012-2013. 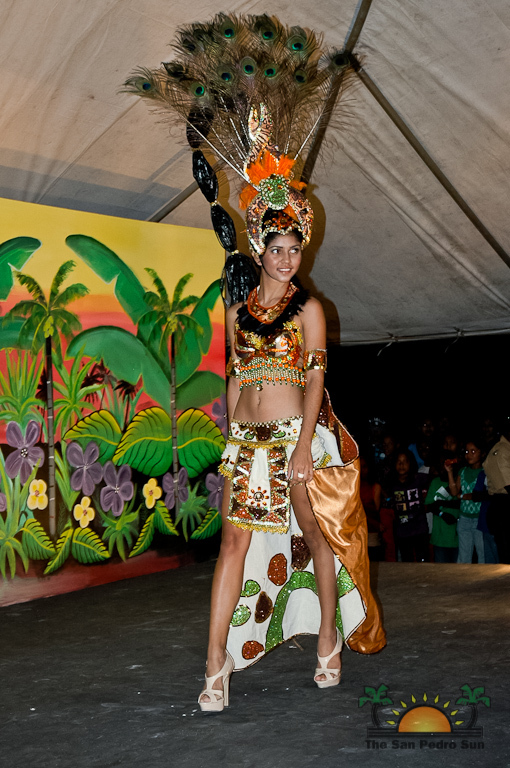 Sylvia performed so well that she was also awarded three other titles of Miss Creativity for her work in designing her float for the delegate road march, Miss Amity for her optimistic and friendly nature, and Miss Photogenic. 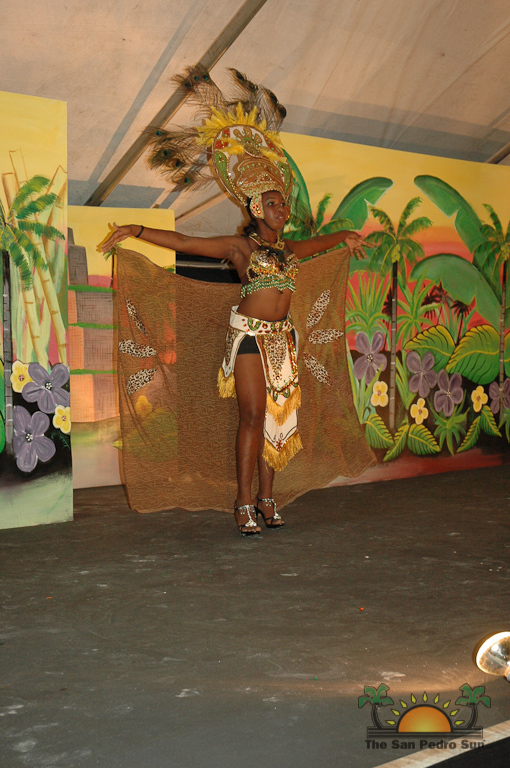 The entire event was a hit, and the crowd seemed to be very entertained and exited throughout the show, carried along by the superb mother and daughter duo Indira Craig and Emaun Hyde who served as Co-Mistresses of Ceremonies. 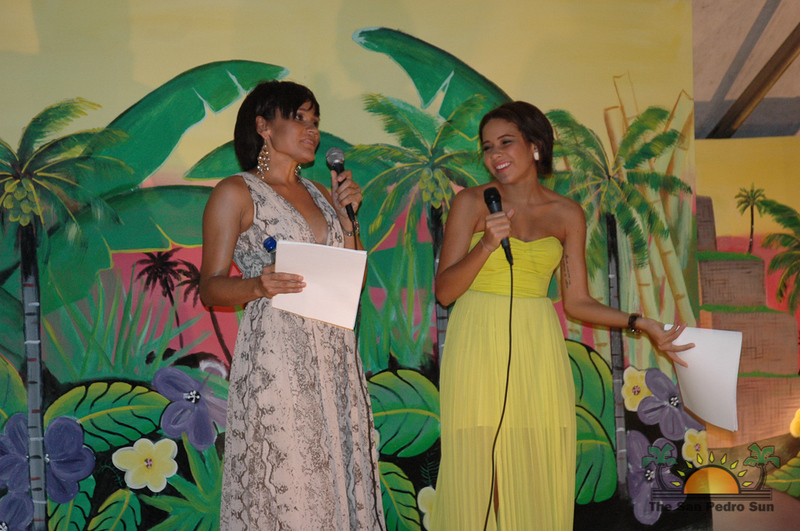 Indira and her daughter Emaun did a splendid job interacting with the crowd, presenting the delegates for their segment and keeping the audience entertained during segment changes and intermissions by poking fun at one another and offering fun and quirky jokes with the crowd. 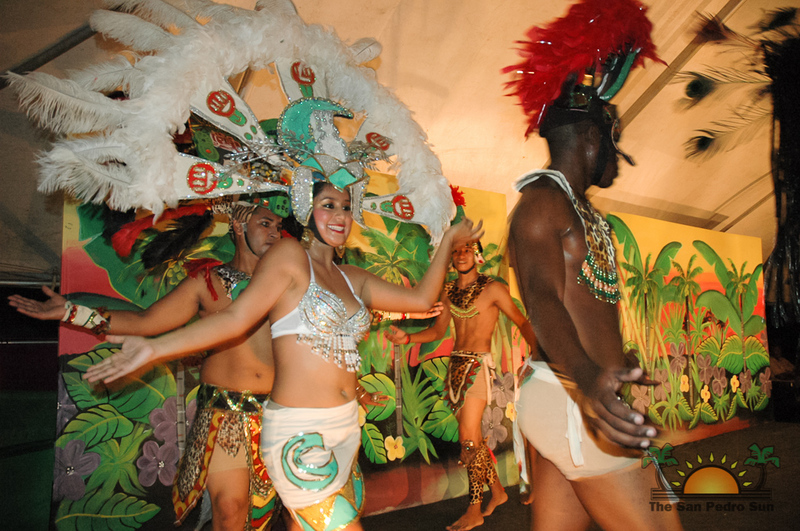 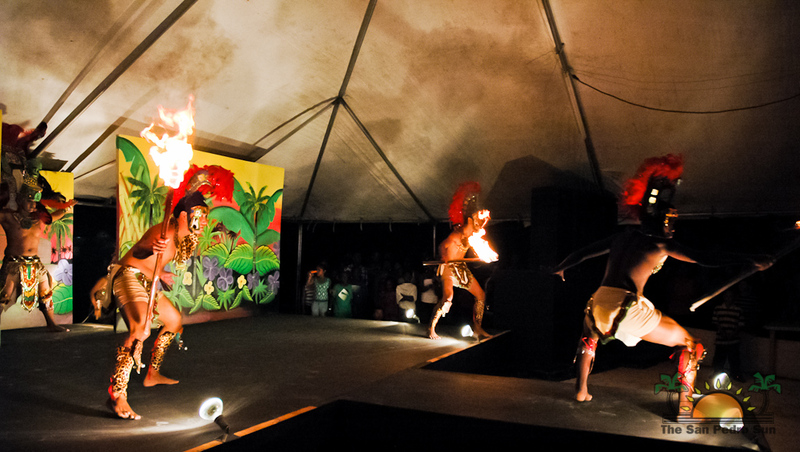 The entertainment for the show was as magnificent as the contestants’ routines with performances that featured renditions of the traditional Mayan deer dance, carnival dance and even the fire dance all executed brilliantly by the dancers for the pageant. 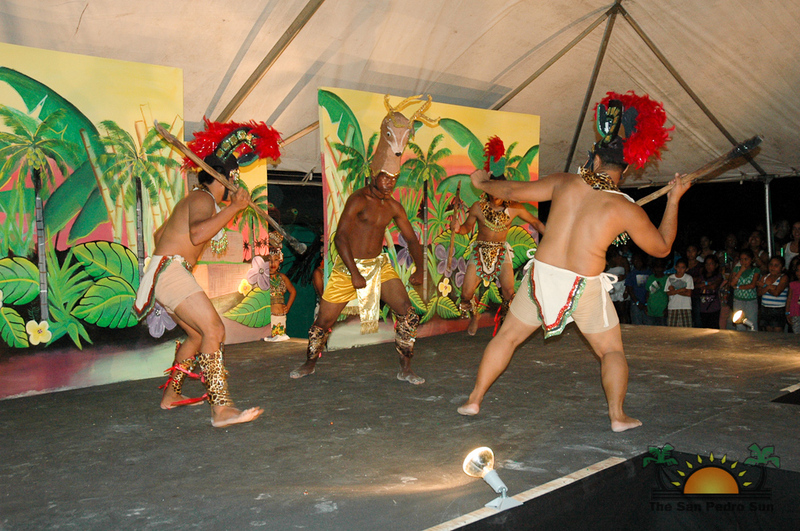 The delegates’ talent competition was centered around a specific theme as they each portrayed what life was like living in ‘old time’ Caye Caulker and what a typical day in the life of a Caye Caulker fisherman would be like; a very fitting spectacle, as the lobster fest itself was first organized to celebrate the very important fishing community that lives on the island. 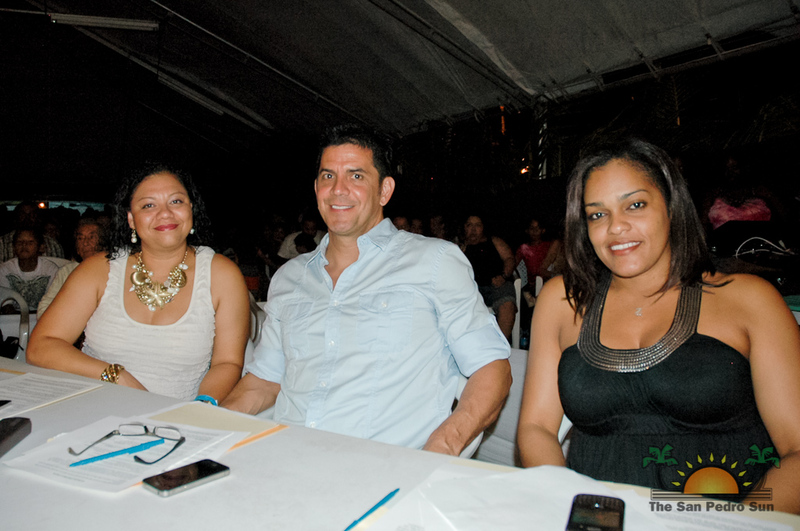 Pageant organizer Chantel Marin provided training to all girls while co-organizers Ernesto Marin Jr. and Ilda Marin provided much needed support for those trainings. Stacy and Gina Badillo of Purple Passion Beauty Studio and Spa were on hand to provide assistance to the girls in hair and make-up.